The only thing scary about planning Halloween festivities for kids in Bradenton and Sarasota is making sure you don’t miss out on popular events! From costume parades to not-so-scary haunted houses, there are plenty of kid-friendly events taking place this Halloween near Forest Properties apartments in Florida. Gather your little ghouls and goblins for a spooktacular time at one of these nearby happenings. Hit a howl-in-one at the 3rd annual Tee Time for Tots at Evie’s Miniature Golf Center. This Halloween-themed, family-friendly fundraiser welcomes toddlers, tweens, and baby boomers alike to take part in the October 27th event. Play a round of Halloween-inspired miniature golf, trick-or-treat at each hole, enter to win a boo-tiful raffle basket, and keep your eyes open for passing friendly ghosts! Each ticket ($20) includes a round of spooky mini golf, a slice of pizza, and a cold beverage. Register your family today! All proceeds and additional donations will support the Early Learning Coalition of Sarasota County. 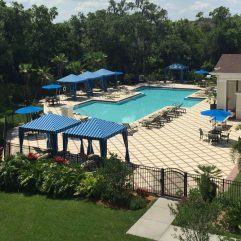 With close proximity to downtown Sarasota, The Lexington offers renovated apartments and luxury community amenities. Explore spacious floor plans today! Order your presale tickets ($12) before October 19th, or purchase tickets for $16 at the door. There’s no charge for children under the age of 3 – sounds like a sweet treat! For residents of Audubon Cove, dress to impress at this year’s 13th annual Boo Fest Halloween Festival! From trick-or-treating to a spooktacular maze, there are plenty of activities for children to run around and enjoy the Halloween spirit. Take home a spooky balloon, compete in the costume contest, dance along to upbeat music, and fill your candy bag to the brim. Oh, the best part? Admission is free for all ages! The event takes place along Lakewood Main Street on October 26th from 6pm-9pm. How would you like to experience the spirited side of Sarasota’s past residents? Sarasota Suncoast Tours offers a one-mile ghost tour that exposes the spookiest tales of downtown Sarasota’s history residents that still call it home. With tours offered every Saturday and Sunday, make your reservation before dates near Halloween fill up. Will you feel the chill in the air? Good to Know: This specific tour best suits witches, werewolves, and goblins over the age of 13. For residents of Ranch Lake in Bradenton, here’s a ghost tour for you! Downtown Bradenton Ghost Tour encourages you to get in touch with past souls on their 90-minute walking tour. Tickets must be purchased in advance ($15 for adults and $10 for kids), and is appropriate for children over 6. 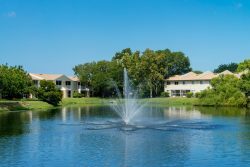 Enjoy the Bradenton and Sarasota community with a conveniently located neat The Mall at University Town Center. 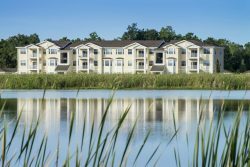 Ranch Lake offers one, two and three bedroom floor plans including a luxury design features. Contact us today for a tour. That’s right – you and your family don’t need to travel far outside your Forest Properties apartment to experience the treats of Halloween! Dress up in your favorite costume, grab your trick-or-treating candy bag, and parade around your Coconut Creek apartment complex for some sweet treats with Forest Properties neighbors. How do you and your family celebrate Halloween in Florida? Share your favorite seasonal events and kid-friendly activities with us on Facebook!